Not that we had ANY doubt that working on a big-budget monster movie with Guillermo del Toro would be the most charming and amazing experience ever, but this gag reel just sealed the deal. Watch GDT's favorites flubbed lines, the cast muggings for the camera and everyone being generally adorable. This is presumably from the DVD or Blu-Ray. 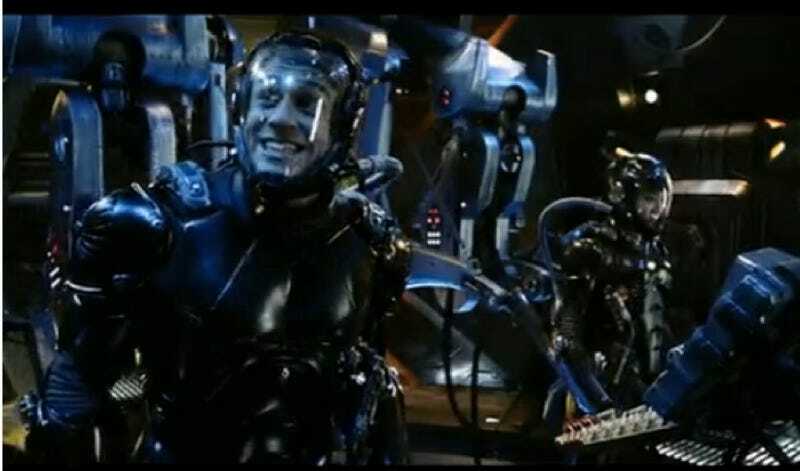 We cannot wait to see what other goodies await us all on the other Pacific Rim features.